ToTT 8th Anniversary Special – 5 interesting things to do this October! 5 interesting things to do this October! 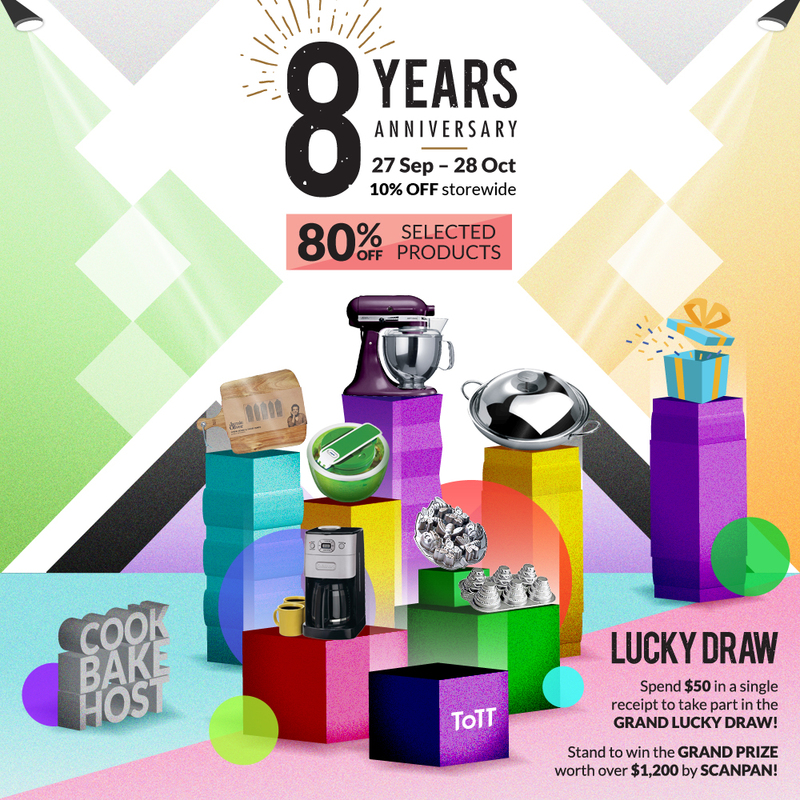 ToTT Store celebrates its 8th birthday this October with a line-up of fun-filled activities just for you! 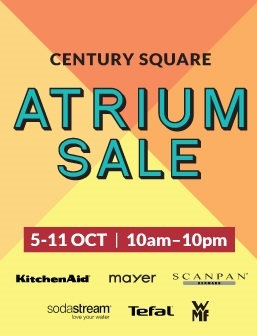 For the first time ever, ToTT Store will be having its first atrium sale at Century Square Shopping Mall from 5 to 11 October 2018, 10 am – 10 pm daily. Come down and shop your favourite kitchenware brands WMF, Tefal, Scanpan, KitchenAid and SodaStream! Exclusive deals definitely not to be missed! ToTT @ Century Square will be converting its 1,100sqft cooking studio into an exclusive pop up market where you can shop and learn more about your favourite kitchenware brands on 12 October 2018, 6 – 9 pm. 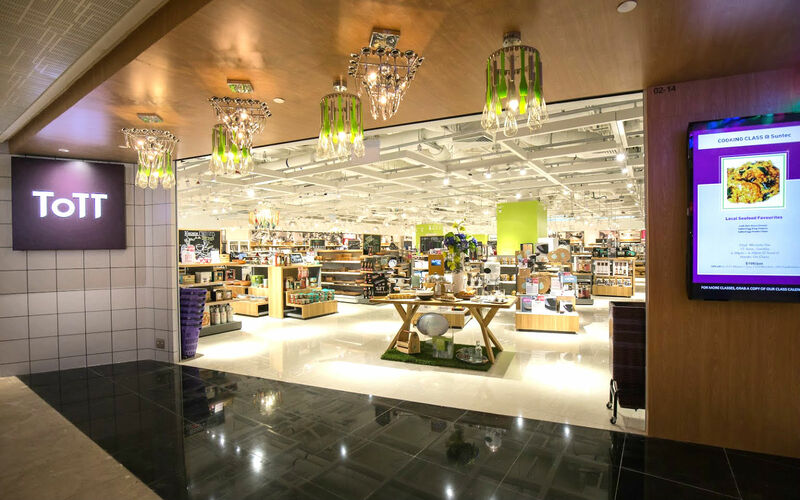 Shoppers can expect live product demonstrations and exclusive deals during this event too! What’s more, this event is complimentary! So come on down with your family for a fun night out. 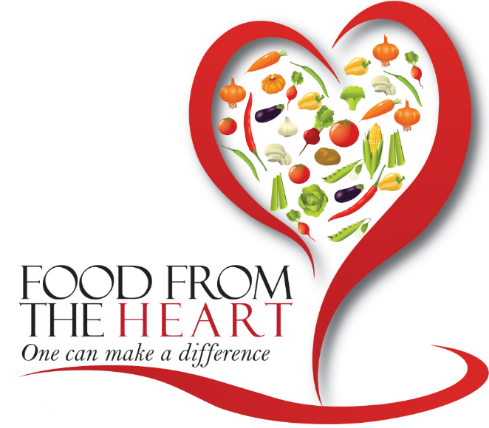 For the third year running, ToTT is once again bringing back its popular charity baking classes in collaboration with Food from the Heart. Participants can sign-up for a variety of baking classes every Sunday in the month of October, where they will be taught how to bake delectable Rustic Pot Pies, melt-in-the-mouth Egg Tarts or even Quiche Lorraine from scratch! Half of everything baked will be donated to Food from the Heart, a non-profit voluntary food distribution programme that channels surplus food to those in need. For a token registration fee of $38, each participant will receive a ToTT cookbook and learn how to bake these delicious treats! Interested participants can sign up here! For the entire month of October, cooking enthusiasts will be able to bring a friend and enjoy 1-For-1 classes including Thai Street Food by Chef Shih Er, Tasty Italian Dishes by Chef Michele Ow and Luscious Strawberry Shortcake by Chef Philia. That’s right! Spend quality time with your friend and learn these delicious recipes at just $88 for the both of you. Interested? Click here to sign up now! 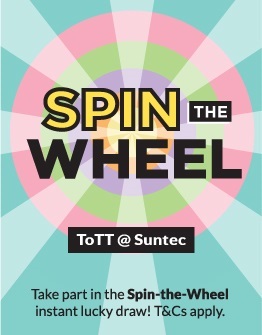 Spin the wheel at ToTT @ Suntec and stand a chance to win amazing prizes! Don’t miss the chance to win incredible prizes from Jamie Oliver Oven Gloves (worth $30.90) to our grand prize of a Grant Uno Sous Vide Controller worth $281.90! 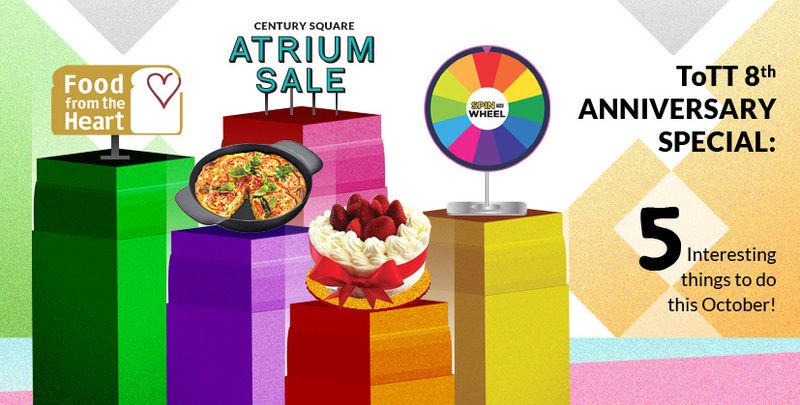 Simply shop at ToTT @ Suntec from 27 September to 28 October with a minimum of $100 in a single receipt to participate! That’s not all! 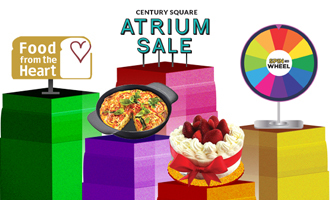 Enjoy amazing deals and discounts throughout our entire anniversary month, including lucky draw prizes worth over $1,200! This entry was posted in Eat & Be Merry and tagged baking, baking with kids, bonding with kids, quick recipes, Recipes. 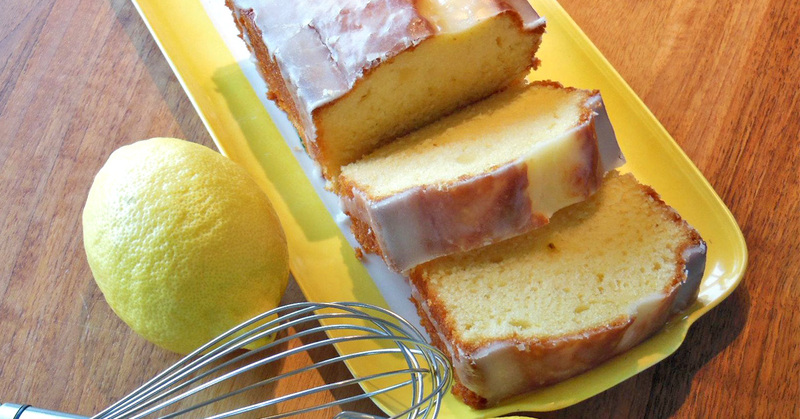 Bake with Your Kids – 6 Baking Recipes Under 30mins!